BEIJING — Frank Chen's e-commerce business has nothing to do with politics but he worries it might be sunk by the Communist Party's latest effort to control what the Chinese public sees online. Chen's 25-employee company sells clothes and appliances to Americans and Europeans through platforms including Facebook, one of thousands of websites blocked by China's web filters. Chen reaches it using a virtual private network, but that window might be closing after Beijing launched a campaign in January to stamp out use of VPNs to evade its "Great Firewall." "Our entire business might be paralyzed," said Chen by phone from the western city of Chengdu. Still, he added later in a text message, "national policy deserves a positive response and we fully support it." The crackdown threatens to disrupt work and study for millions of Chinese entrepreneurs, scientists and students who rely on websites they can see only with a VPN. The technology, developed to create secure, encrypted links between computers, allows Chinese web users to see a blocked site by hiding the address from government filters. Astronomers and physicists use services such as Google Scholar and Dropbox, accessible only via VPN, to share research and stay in touch with foreign colleagues. Merchants use Facebook and other blocked social media to find customers. Students look for material in subjects from history to film editing on YouTube and other blocked sites. Control over information is especially sensitive ahead of October's twice-a-decade ruling party congress at which President Xi Jinping is due to be named to a second five-year term as leader. 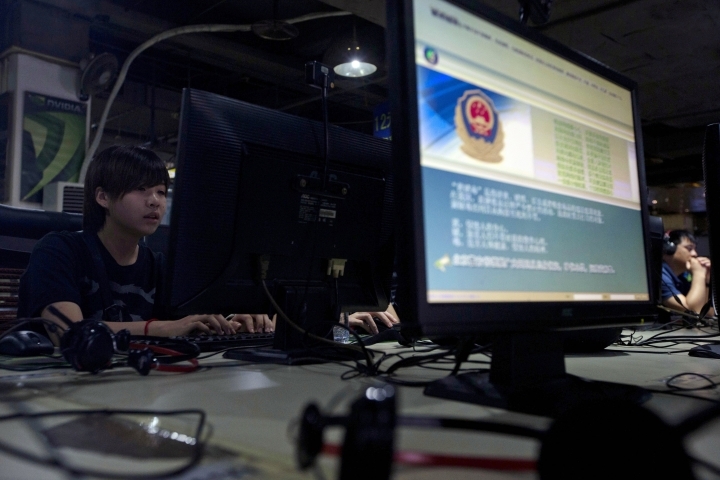 The VPN crackdown is part of a campaign to tighten political control that activists say is the most severe since the 1989 suppression of the Tiananmen Square pro-democracy movement. Dozens of activists and lawyers have been detained. A cybersecurity law that took effect in June tightens control on online data. Regulators have stepped up censorship of social media and video websites. How many people might be affected is unclear, but consumer research firm GlobalWebIndex said a survey of Chinese web surfers this year found 14 percent use a VPN daily. If that percentage holds for China's total online population of 731 million, it suggests the country might have as many as 100 million regular users. Some 8.8 percent of people in the survey use VPNs to look at "restricted sites," according to GlobalWebIndex. That would be equivalent to 65 million people, or the population of Britain. Communist leaders encourage web use for business and education. They want online commerce to help transform China from a low-wage factory into a high-tech consumer society. But they reject the notion of a borderless internet and free flow of information. Chinese web users without VPNs cannot see the most popular global websites including Google and social media such as Facebook, Twitter and YouTube, as well as news outlets and human rights groups. In the latest crackdown, regulators say only government-authorized VPNs will be allowed. The operator of a popular service, Green VPN, told customers in June it had been ordered to close. Others shut down without warning. "You have to leave a window for people, for those who need it," said Wen Jian, a securities trader in Beijing. Wen said he needs to find financial information and Google, accessible only with a VPN, is more effective than Chinese search engines. But his VPN quit working two months ago. "As far as I know, some government people use VPNs too," said Wen, 27. "They read things abroad. Why can they have it and we cannot?" The crackdown reflects Xi's notion of "internet sovereignty," or Beijing's absolute right to control what people can do and see online. Unauthorized VPNs already were banned but authorities appeared to ignore them, possibly to avoid disrupting business or to defuse resistance among professionals and academics. Government spokespeople refuse to acknowledge any site is blocked, though researchers say they can see attempts to reach sites such as Google stopped within servers operated by state-owned China Telecom Ltd., which controls China's links to the global internet. Regulators have yet to say who will be allowed to use government-licensed VPNs or what they can see. But a letter sent by China Telecom to some corporate customers this year offers a hint: It says VPNs can link only to a company's headquarters abroad and no other sites. It warns violators will lose access. Until now, web controls have acted like a tax, allowing users to see blocked sites by paying for a VPN, according to Margaret E. Roberts, a political scientist at the University of California at San Diego. "As VPNs become more difficult to access, it's like the government is raising the tax," said Roberts in an email. "If VPNs were illegal, we would expect a different calculation for those seeking access." In a sign of a more severe official stance, a 26-year-old entrepreneur who sold VPN service in Dongguan, near Hong Kong, was sentenced in March to nine months in prison. 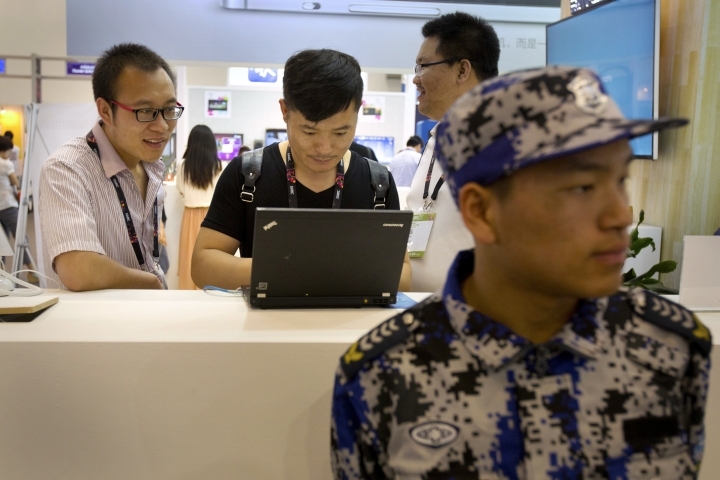 The agency in charge of the crackdown, the Cyberspace Administration of China, and the Cabinet press office didn't respond to questions sent by fax and email about what, if anything, the public will be allowed to do with authorized VPNs. Chen, the online merchant, said he heard private companies might be permitted but he has yet to apply. The economic impact is unclear, but other Chinese data controls already are a drag on business. The European Center for International Political Economy estimated in 2014 curbs in effect or planned could cut economic growth by up to 1.1 percentage points. That would be equal to as much as $130 billion of lost activity in China's $12 trillion-a-year economy. "I asked some friends, and if a large number of VPNs are banned, then everyone's response is there will be a big impact on their business," Chen said. Chinese leaders faced similar complaints after the "Great Firewall" was activated in 2002. It blocked access to Google, prompting an outcry from scientists and businesspeople who needed to find research papers and commercial information. Public complaints have been muted in part because Chinese companies have developed alternatives to popular global services. Instead of Facebook and Twitter, Chinese social media users have WeChat and Sina Weibo. Baidu Inc. provides Google-style search that complies with official censorship. "I am pretty lazy," said Hao Kailin, a landscape designer in Beijing who finds images online for work. "If it is too much trouble to look for pictures from prohibited websites, then I give up."